Nylon briefcase with leather trim. Traveling with your laptop just got easier. 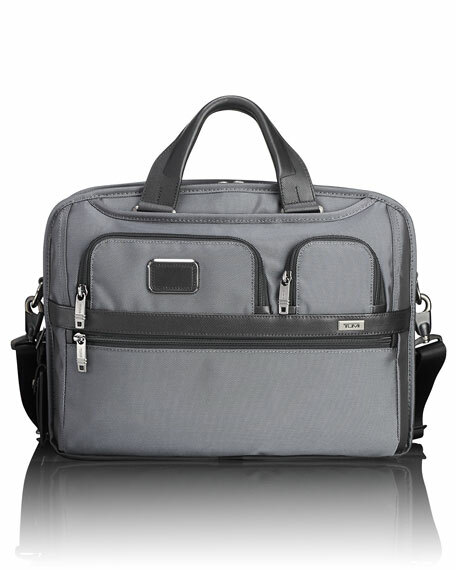 This TUMI T-Pass® laptop brief is designed to meet TSA checkpoint requirements, which allow you to go through security without removing your laptop from the case*. 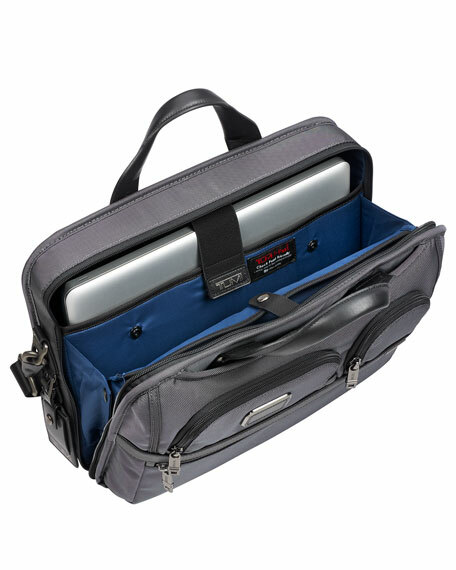 The split-opening case must be packed appropriately to ensure an unobstructed scanning of your laptop. 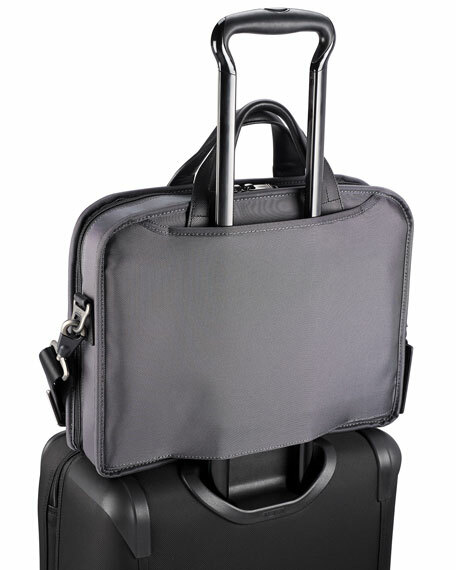 Accommodates medium and smaller laptops with removable foam blocks. 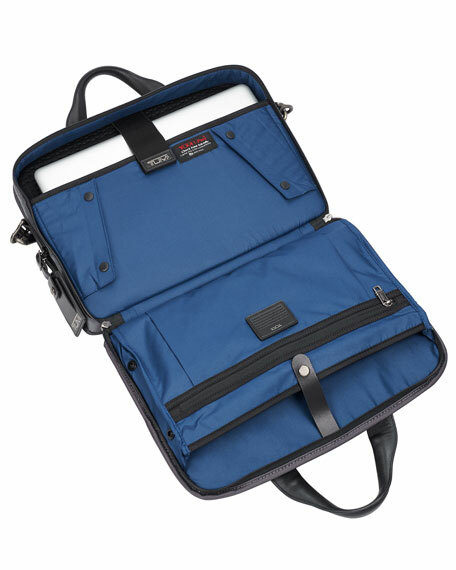 Features a zip pocket, numerous organizer pockets, including a water bottle/umbrella pocket. Embossed leather carry handles and patented articulating shoulder strap designed to comfortably stay in place. 16"W x 3"D x 12"T.
*The TSA reserves the right to ask anyone to remove a laptop from its case, or re-screen any laptop or case. For in-store inquiries, use sku #2492544.